Assam is the gateway of the Northeast. It is a state of breathtaking scenic beauty lofty green hills and a land of airs and festivals, which is dominated by Mighty Brahmaputra river. It is also known as land of temples.Assam is also known and famous for Tea and one horned Rhino, Which is found in large number at Kaziranga National park. It has several places of historical and archeological interest.This is very brief descriptions about the natural beauty of Assam. You well acquainted with it in the Hindi movies like Kalpana lazmi's DAMAN, & Mani Ratam's DILSE which are shooted in most of the towns of Assam. Earliest mention of this region was mentioned by the Chinese explorer, Chang Kien, as having trade links with China in 100 B.C. The Periplus of the Erythrean Sea and Ptolemy's Geography also acknowledge the existence of this region before Christ. The Australoids or the pre-Dravidians were the earliest inhabitants of this state. The Mongoloids entered through the eastern mountain passes and overran the land long before the compilation of the Hindu religious literature known as the Vedas. Huen Tsang, the great Chinese traveler, visited this region in the 7th century. At that time, Pragjyotishpur was known as Kamrup. It was a strong kingdom under King Bhaskaravarman. The Ahoms who belongs to the Shan dynasty and closely related to the Thai's entered Assam in 1228. The entry of Ahoms in Assam started a new era. Many scholars are of the opinion that the state was named after this dynasty, which went on to rule for six centuries. The Mughal Empire was at its zenith during this time and taking the Ahoms to be a challenge, they attacked the state 17 times. The last of the wars, fought near the present-day Saraighat Bridge over river Brahmaputra in Guwahati, saw the Ahoms inflicting a crushing defeat on the Mughals under the leadership of the able general, Lachit Barphukan, who has been immortalized in Assamese folklore. Thereafter, apart from a brief period during the reign of King Rudrasingha, the state went into a gradual decline in the 18th century. This was when the Burmese attacked and annexed the state. However, they could not hold it for long, and in 1826 the British forced them to cede Assam by the Treaty of Yandaboo. There begins the history of this region with rest of India. ASSAM is a miniature India, a varitable melting pot of diverse races, creeds, cultures and religions making it an anthropologist's delight. Many of the principal races of the world migrated to this region in course of time. But due to its geo-political remoteness, the rest of world know very little of Assam. It is in this state the famous game reserve at Kaziranga is located, where people from the world over come to meet the celebrated one-horned India rhinoceros. 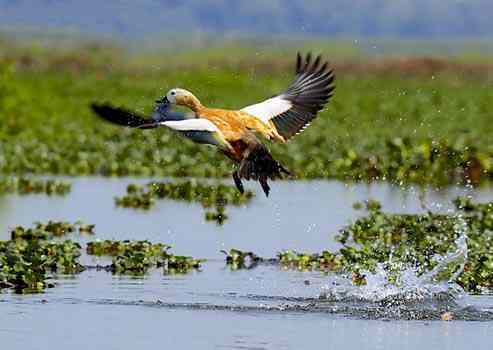 Manas is another such location famous for the last bastions of the Golden Languor (now on the verge of extinction). Its tea, of course, is very famous all over the world. The mighty Brahmaputra, the holy temple of Kamakhya, oil fields etc. are few images conjured up whenever Assam is mentioned. Culturally Assamese Bihu and Satriya dances are a part of great Indian national heritage. This state, along with Arunachal Pradesh, Manipur, Nagaland, Mizoram,Meghalaya and Tripura; with which it has close cultural and other affinities; forms the eastern most sector of india, having borders with Myanmar and Bangladesh. Its physical geography is one of the most fascinating in the country, with its extremely rich landscape, endless tracts of dense green forests, its blue mountains, lush grassy plains, and its deep, wide, rapid rivers. Nature is wild and virgin here. Its beauty has a pristine freshness unmatched elsewhere. The monsoon forests are among the world's richest sources of interesting flora and fauna. Its vegetation is composed of trees and plants which represent all climatic zones from tropical to temperate. The orchids and lilies are of the most enchanting hues. 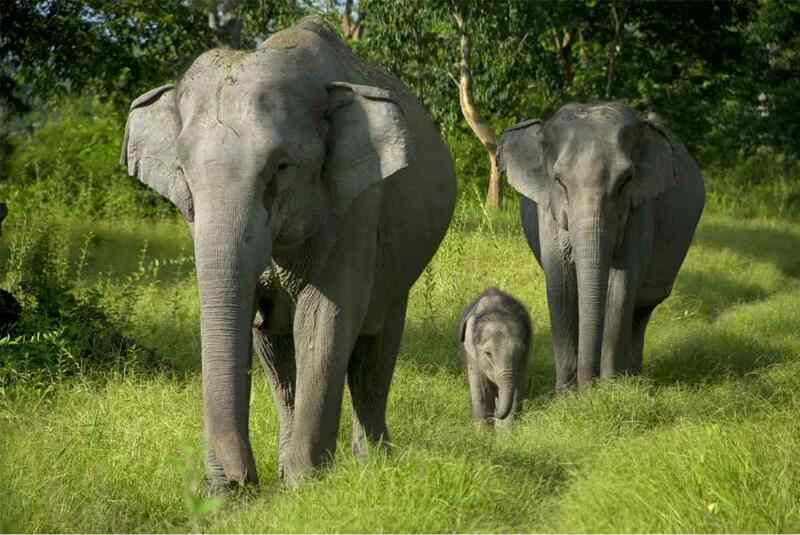 Its wild life includes elephant, tiger, wild buffalo and rhinoceros. The society in Assam is not just a conglomeration of diverse racial and cultural elements but a composite whole arising out of the integration and synthesis of all of them. Indeed, Assam has been a curious melting pot into which have gone the Aryan and non-Aryan, the tribal and the non-tribal, the indigenous and the exotic, making for a delightful fare with wonderful mixed flavor. The majority of the population in the plains is made up of Hindus, speaking the Aryan Assamese language. But the Aryan racial strain is prominent only in the upper castes, most of the other other castes are of the Mongoloid stock. The Satras (seat of the religious head Satradhikar) and Namghars (house of Prayer hall) plays an important role in the life of an average Assamese and have acted as religious as well as cultural institutions. Majority of the tribal groups belong to the Tibeto-Burmese family. The colourful people of Assam consists of Bodo-Kacharis, Rabha & Hajongs, Tiwas (lalung), Misings, Sonowal Kacharis, Deuris, Karbis, Dimasa Kacharis, Rengma Naga, Zemi Naga, Kukis and the Hmars. In Assam, the line between the tribal and the non-tribal is pretty thin and the so-called non-tribal Assamese Hindu society retains many elements, which are patently 'tribal' by orthodox Hindu standards. Castes are not strictly occupation linked, and caste based disabilities are very few. More than 40 percent of Assam's population is thought to be of migrant origin. During the six hundred years of ruling, the Ahom Dynasty managed to keep the kingdom, independent from Mughal, the Muslim invaders of India before the British, as well as other invaders though Mughal attacked Assam seventeen times. During this era, the Assamese society was exogenous. The British entered Assam in 1824 as tea planters, which was the starting point of the destruction of Ahom Dynasty.